People have a Love/Hate relationship with New Year’s Resolutions – making them is easy, keeping them, not so much. It’s no different in business where balancing market edge and margins often requires methodical processes and dynamic innovation. Change by Degrees talked to eleven companies in Cork city and beyond to hear what matters to them, how they define sustainable business and what their sustainability resolutions are for the next twelve months. Sustainability can be seen as a complicated concept but basically it means living on the earth in a way that does not compromise the opportunities of future generations. The overriding consensus from the businesses we talked to is that sustainability is‘ just how we are’– it is a personal set of values based around wanting to do the right thing. And the right thing can take many forms. For Gillian Murphy, founder of the botanical boutique Greenhouse & Other Stories in Kinsale, being sustainable means having a small footprint and creating harmony. Sinead Hurley of the Oysterhaven Centre (an outdoor activity centre) believes that being sustainable means raising awareness amongst their clients, most notably the kids, so that the environment they operate in remains pristine. At Salingers Little, Sarah Green Salm sources products that provide real choice. Companies like The Bonnie Mob have a ‘Zero D Denim’ initiative, which means it uses 90% less water than traditional denim production and none of the harmful chemicals. 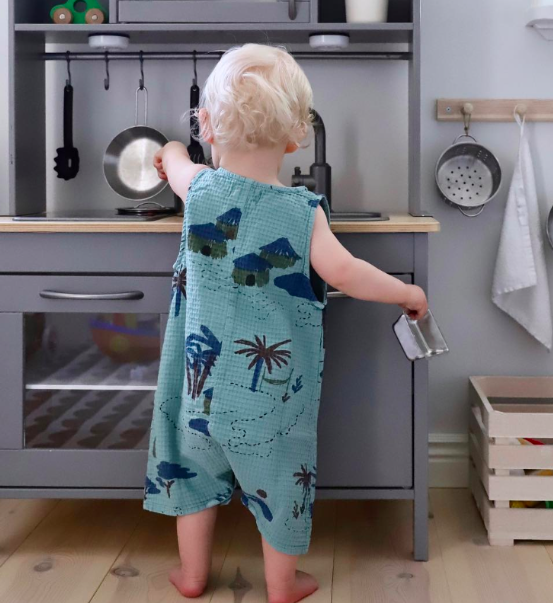 Sustainable fabrics and eco-friendly sustainable dyes means their products are healthier for the planet and also for the children who wear their clothes. At Dukes Coffee Company they have created a culture that lives and breathes sustainability, heavily driven by its founder Aidan Duke. Everything from procurement to customer engagement is done in a way that protects the environment and treats people fairly. They have a sustainability policy and Aidan gives his staff time to learn how to sort waste correctly. Equally, as Shannen Butler Keane of Diva Boutique Bakery & Café explains, it’s about running a business that is viable, profitable and therefore sustainable. It means being able to pay staff fairly, pay the bills on time and make a profit. Bronwyn Connolly of Wild Design Cork agrees. Having worked in the outdoor markets she made a pivot to a shop business model for boutique Irish craft so that they could be sustainable themselves, and stay in business. They have a triple bottom line model that plans to engage with people in year one, the environment in year two and profit in year three, all while giving a space to Irish crafters to showcase and sell their goods. Right now, Idaho are remarkable in that they have one single general waste bin of rubbish a week; quite the feat for a busy coffee shop. Richard describes Mairead as adamant about food waste. 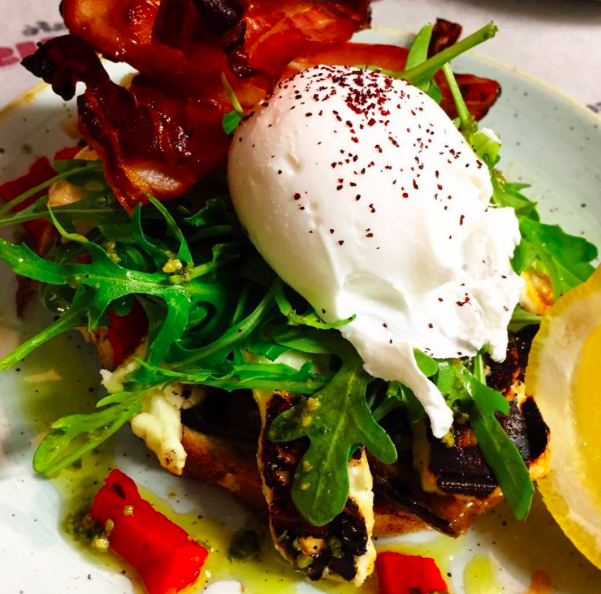 Like Cafe Gusto, they purposely don’t over fill their plates with garnish and operate on the premise that if people want more, all they need do is ask. They also consciously avoid peak load times with ESB and their heating is on a time switch. 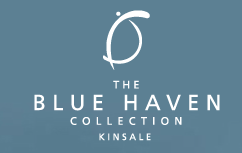 And Ciaran Fitzgerald of the Blue Haven Collection in Kinsale, made a conscious decision to be more efficient and more environmentally aware, making changes to get positive sustainable results for his business. Marianne Delaney of Cafe Gusto takes being sustainable seriously. Gusto bikes deliver all their catering orders across the city and transport goods between cafes. Their coffee is sustainably sourced and roasted by an Irish roasting company which donates to coffee kids organisation and deals directly with coffee growing communities. Interestingly, many businesses are in agreement regarding the need to differentiate themselves: but they don’t particularly want to be different. They would like more businesses to join them in operating more sustainably. ‘We share any useful bit of information we have because we want to’. Richard, Idaho. At Idaho, Richard explains that they really wish more people in their sector would follow suit and adapt sustainable outlooks, thereby creating a mass change is how they all operate. The knock-on effect is that all the businesses could learn from each another and they would be providing a uniform front to customers everywhere. Ciaran Fitzgerald of the Blue Haven states clearly that setting themselves apart ‘isn’t the point.’ He believes that if you want a more sustainable tourism product then ‘everyone should do all the right things, together’. At Chalk & Easel, Emily feels that her shop stocks items specific to her tastes and thus she doesn’t actively try to differentiate herself at all. For Gillian, in Greenhouse and Other Stories, she doesn’t think of other businesses as competitors. ‘I think what we individually offer is unique and sets us all apart. 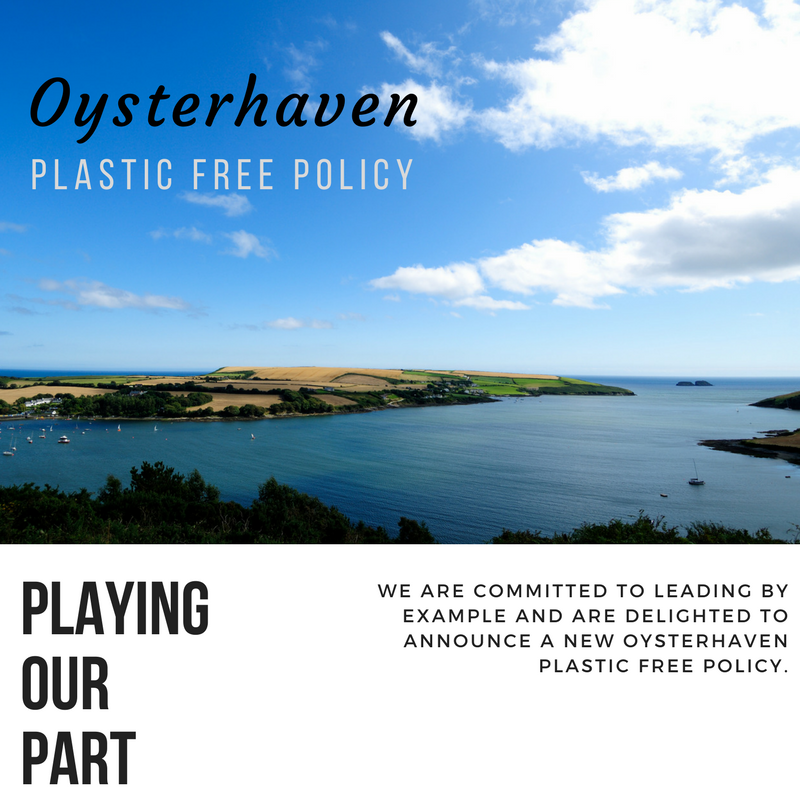 And for Oysterhaven Outdoor Centre, there is a significant level of sustainability awareness amongst all actors in their industry. They do however have a Plastic Free Policy and have introduced many initiatives to encourage their market segments (schools, corporates and summer camps) to reduce the amount of single use plastic they use. There is a culture of ‘giving back’ at Rain Ireland, Nollaig Previs explains. By implementing sustainable practices, they offer disadvantaged people from the communities in their supply chain the opportunity to earn an income by doing handiwork from their homes. Rain also harvests alien species of tree and replaces them with indigenous trees planted in rural communities to help beautify and green the area as well as providing new natural resources. In the food and beverage sector it seems that customers are not as questioning about sustainability as we might assume. Obviously there are exceptions but most sustainable enquiries revolve around compostable cups and containers and keep cups. For the Blue Haven Collection, it seems that there is a growing consciousness amongst customers in that twelve months ago ‘no one was asking a thing’ about sustainability, explains Ciaran. He wonders if there an expectation on the shops and stores to just get it all right, but remarks that Kinsale as a town has embraced the move to more sustainable living. Aidan says that at Dukes, the environment is often a conversation topic, amongst staff and customers alike. Emily of Chalk & Easel says that similarly, there are no direct questions about sustainability as much as there are conversations – open ended chats with clients about where a product comes from, or why it’s so cheap/expensive in comparison to another. And Bronwyn of Wild Design Cork has a similar experience. ‘Is it made locally?’ being the most frequently asked question in her store. At Salingers Little however, Sarah says that her customers seem educated about organic materials and the chemicals that might be in children’s clothing’s. She gets returning customers because the items she sells last well so quality is assured and trust is established. Salinger’s stocks Lötie Kids, a brand based in Barcelona which advocates “Slow Fashion” so it has a very close knit group of employees and every item is cut/ dyed / sewed / and finished in their factory in Barcelona. She says her customers appreciate these facts. Rain Ireland has achieved World Fair Trade Guaranteed status, which Nollaig says, matters hugely to their customers. 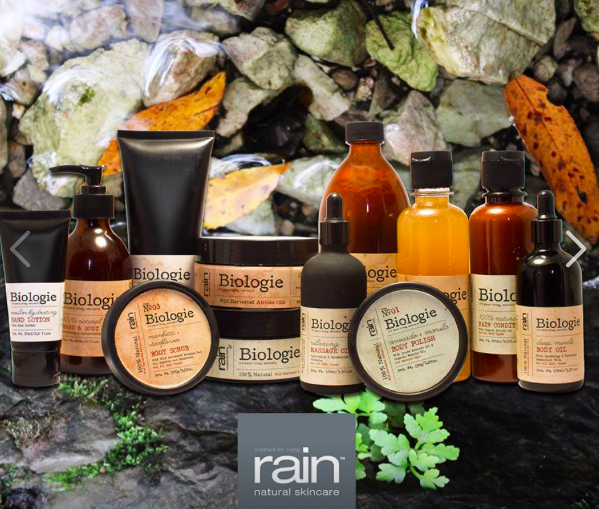 Like many of the businesses we spoke to, the staff at Rain take time to educate their customer base on their ethical-ethos and why it matters to them. For Marianne at Café Gusto, customer education is ongoing. We try to ensure our customers properly dispose of the compostable cup & packaging whether it be in returning it to us or is placed in the office or home brown bin for commercial composting. Café Gusto. Suppliers are a different matter altogether though. Many of the businesses we spoke to were exacerbated by the amount of excess packaging left behind after a delivery. Some had arrangements with companies to wait while they unpacked their goods and take the packaging away with them. At Diva they always ply the deliveryman with coffee and cake while he’s hanging around so that they can unpack the delivery! Both Aidan and Ciaran explained there is a constant back and forth between what is legally required over what is practical and acceptable. For Dukes the mechanisms, packaging and materials used in daily food transportation are hugely wasteful and produce over 40% of waste they send for processing. Aidan is clearly frustrated by sorting the growing volume waste and trying to eliminate contamination error all while keeping the bottom line healthy. Many companies are concerned about conflicting information from Environmental Health Officers, collection suppliers, Cork City Council, The Health Service Executive, REPAK and their own suppliers. At Change by Degrees we ask, is best practice actually best when it creates so much waste? Richard from Idaho comments that very often it is the retailer making suggestions to the suppliers that causes change and not the other way around. At Wild Design they try to reuse every bit of bubble wrap they receive and recycle all their own cardboard. Unfortunately, some of the art arrives cocooned in mountains of cling film, which is not currently recyclable in Ireland. And businesses are selective about the brands they choose to stock. At Greenhouse & Other Stories, Gillian says ‘Even when I came across brands that I loved, I’ve chose not to stock them if they are not 100% organic. The majority of the brands we stock are Global Organic Textile Standards (GOTS) certified, the highest organic accreditation possible.’ Similarly, Sarah at Salinger’s is driven towards stocking suppliers that openly tell and share their own sustainability stories. A question that throws customers sometimes is ‘do they actually need a bag?’ Emily of Chalk and Easel explains that ‘people just aren’t ready to let go of the presentation and packaging yet.’ Uash Mama, an Italian brand they stock, arrives in a brown bag and the items are sold in the same bag. Zero waste! It’s a process obviously, as most businesses agreed that while you can have the best intentions, breaking habits is hard. That goes for staff, customer preferences and your own ingrained behaviors. it’s easier to tell your story in-house, while making a sale. At Wild Design Cork they agree. They actively market local, ethically made Irish craft but could do more to push it on their channels. However, Bronwyn did create the #GreenFriday movement, the aim of which was to counter the #BlackFriday spending hysteria we have seen arrive in Ireland in recent years. The campaign focused on people shopping locally, or at least buying from Irish brands, when online. For Shannen at Diva, telling her story is a struggle. They make everything from scratch, source local suppliers and drive business to a tiny village. But letting people know all that is hard when you have so many other things to do. The Blue Haven Collection have made huge strides with refill stations, paper straws, waste management courses for staff and biodegradable paper in all the bathrooms, yet Ciaran feels that’s only the beginning for their business. He looks forward to telling clients and customers about ‘real achievements’ when they have them. Chalk & Easel want to message the importance of buying less and buying better with the aim of bucking the trend of people over shopping to simply have ‘everything match.’ At Idaho, Richard is adamant that they simply want to tell their story, without sounding preach-y. They use the hashtag #cleanergreeneridaho and feel people really want to know about it. Nollaig describes the Rain Ireland presence on social media as good. Richard actually has his own apple orchard and will make juice through June and July. ‘Every apple juice we sell means one less orange juice, shipped across the world, being sold by us.’ He explains there is literally no carbon footprint with the product, as he’d be driving into work anyway. You can sense the intense satisfaction the very idea of this, brings him. At Dukes, Aidan will attempt to remove all the single sachets sugars, butters, jams and condiments normally associated with cafes. This is no mean feat and as he points out, you have to cost out how much it then is to have a member of staff prepare the alternative, wash out containers and monitor refills. He thinks it’s worth the effort though. Cafe Gusto will introduce Refill water stations in her cafes to reduce the need of single use plastic bottle water sales. Once she does this, she’ll be added to the Refill Tap Map and people can easily locate her store when they want a refill. Shannen, of Diva, hates cling film, but is desperately looking for an industrial style alternative, as they need to use it to protect some products they make and transport. At Wild Design Cork, many items are delivery smothered in cling film and Bronwyn would love to reduce this excess. At Wild Design, Bronwyn, intends to only use recycled tissue going forward and has pledged €250 to the Green Economy Foundation to plant trees in West Cork. She also hopes to use Carbon Analytics, a free software for measuring your businesses carbon impacts across procurement and operations. Emily will create her own packaging and has decided they don’t even really need to use selotape. Brown recyclable bags are three times the price of regular ones though so owners need to always consider their margins. Emily hopes that she can create a space where people can come and shop; conscience-free, knowing she’s done all the work that makes their purchases sustainable. Like Emily, Nollaig in Rain Ireland wants to reduce their packaging and source alternatives to the plastic they use. ‘We’d love be more plastic free which would mean changing out mailer bags and our vinyl stickers.’ But mailer bags are cheap to post as they are light. ‘My postage bills can double because of 100g so it really is hard to always use cardboard or kraft paper especially for overseas items,’ she laments. Right now she’s testing paper labels to see if they are as reliable as vinyl stickers. Ciaran has a wish list across all areas of his business but he wants to create a new culture in his company. Most obvious is a working waste management solution that starts at the front door and goes through to whole building. Cafe Gusto owner Marianne would love to see a daily collection of brown bins across the city (for commercial businesses especially). She also actively promotes vegetarian and vegan meals for the ‘low carbon footprint’ and recognises the shift in demand as some people move to more plant based diets. Shannen at Diva will try to further reduce her food waste, along with almost every other food and beverage company we spoke with. Supporting her local suppliers is key for Shannen and she is passionate about ‘keeping the circle tight.’ This is a wonderfully sustainable way to do business in a rural environment. At the Oysterhaven Centre the 2019 agenda is clear – to tell their story online. They also wish to completely eradicate the use of single us plastic water bottles which means asking all clients to not bring them on the day they visit. ‘Getting customers to cooperate with that simple ask is a challenge!’, laughs Sinead. 2019 holds real promise for all the businesses we talked with. From overhauling waste management to changing up stickers, every single effort is a degree of change worth commending. Being sustainable makes for smart business. It also makes sustainability convenient to clients and customers. Change by Degrees can help all businesses with marketing, strategy and education awareness for staff. Get in touch if you want to future-proof your business. See our top tips below on how to get started.